Medical groups are seeking customizable and cloud-based systems and emerging technologies like speech-recognition capabilities. Physician practices are looking to improve their electronic health records and many are shopping around for more advanced tools, according a new report from Black Book Research – which sees 30 percent of practices with a dozen or more docs expecting to replace their current system in the next three years. They're seeking more customizable and integrated EHRs, with practice management and revenue cycle management, according to the report, which polled nearly 19,000 ambulatory EHR users. Huge majorities are looking for cloud-based and mobile tools that offer on-demand data and visibility into financial performance, compliance tracking and quality goals, according to Black Book. Speech recognition capabilities and support for telehealth and virtual care are other top items on practices' wish lists. The report also finds that most smaller practices are still under-utilizing advanced features such as electronic messaging, clinical decision support and patient engagement tools, and that interoperability is still a sticking point for those providers. "Traditionally, it has been the smaller and solo practices with the highest dissatisfaction ratings for electronic health record applications but we confirmed also that the smaller the practice, the less likely they are to use advanced IT tools and that is where EHR frustration among small practices is generally focused," said Doug Brown, managing partner of Black Book, in a statement. 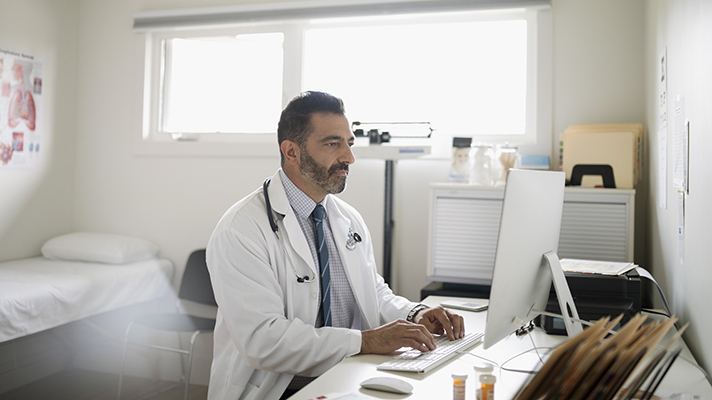 The poll found that 93 percent of practices use the three basic EHR functionalities most often: data repository, order entry and results review. "When we look at apples-to-apples client satisfaction among small practices, it's about basic functionality experience," said Brown. "While in large practices, the rating of customer satisfaction is based on that plus a much wider breadth of vendor offerings and client execution from claims management to population health bundled in." Black Book recently conducted a similar survey focused on consumers, which found that a commanding 91 percent of patients younger than 50 said they prefer tech-savvy practices with advanced capabilities and connectivity. "The technology expectations of upcoming generations will likely contribute to the gradual demise of independent, solo physician practices if they do not invest and provide what healthcare consumers clearly want," said Brown.